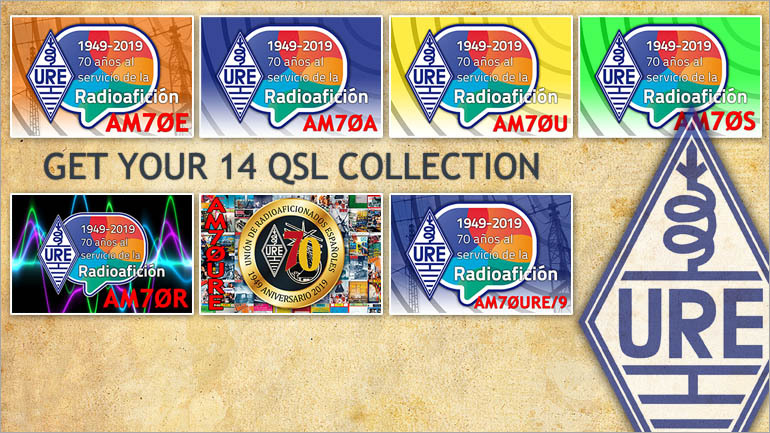 A special Medal will be awarded in the following different categories to the top participants that achieve the highest number of different contacts with the AM70 stations on different bands and modes. 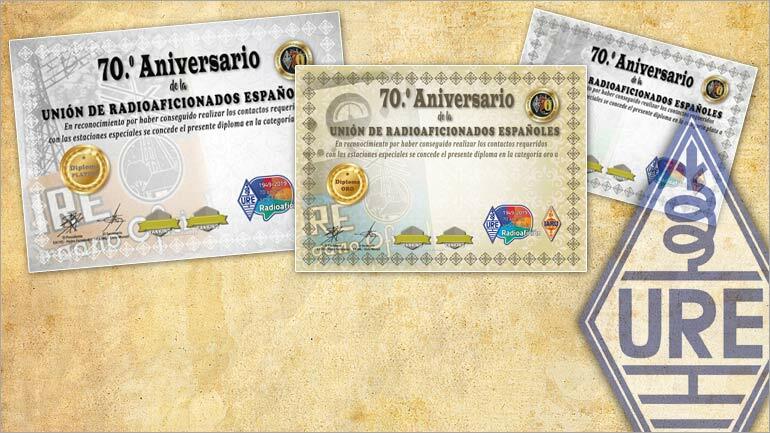 Those participants can freely download their personalized diploma in PDF. The OQRS can be requested from 9 June. We do not require logs to be submitted since the online log is available on the web. 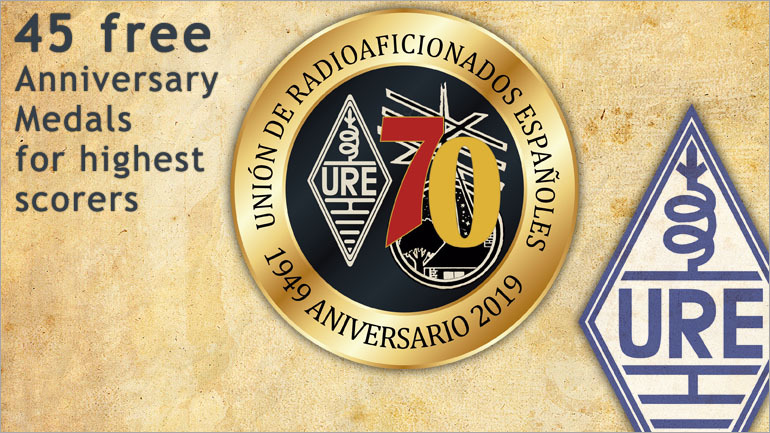 A special Medal will be awarded to the top participants that achieve the highest number of different contacts with the AM70 stations on different bands and modes. These top performers will receive their trophy directly at their home free of charge. 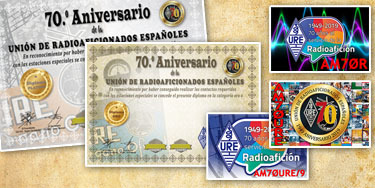 On April 1, 2019 is the 70th anniversary of Unión de Radioaficionados Españoles. 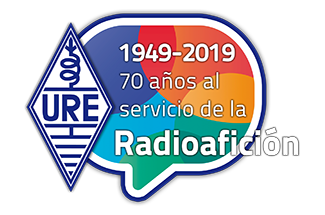 Contacts will be valid from April 1 to June 9, 2019 in any mode and band from 160 to 6 meters with the 14 stations using the special AM70 prefix. 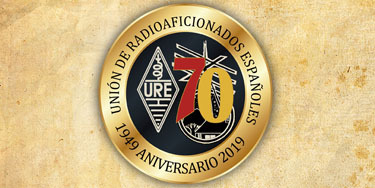 The suffixes of the 14 special event stations are each of the letters of the name of the Unión de Radioaficionados Españoles, except the letter “Ñ” which will be replaced by the special URE station AM70URE.